And so it came to pass. A weekend infused with such sporting promise from the perspective of Irish eyes, crashes to the ground in ruins like the proverbial house of cards. Irish Sporting fans with a broader range of disciplines in their fandom portfolio were left clutching at straws, celebrating the Patriots beating the Jets as they clung to the wreckage of Saturdays Irish failure in New Zealand. Leading up to those fateful events on Saturday morning Ireland had not been as energized and hopeful about a tournament since we were on the brink of the Soccer World Cup and Thierry Henry handled away our aspirations there. 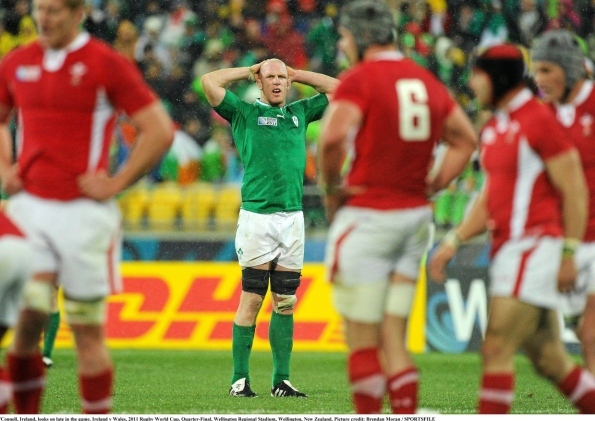 Perhaps the weight of the desperate hopes of a nation dragged our boys in green down, as a very brave Irish team looked admittedly tired and spent in the second half against Wales. With the match on so early (6 am Irish time), it was still early morning as Irish rugby fans rubbed their eyes, looked out into the grey, cold, dispassionate morning light and felt that empty longing grow a bit longer. Will Ireland ever proceed to the final of a meaningful World tournament? Meanwhile, on Friday night, a much more depressing event was taking place. Wait, back that up a second. A more depressing event than Ireland getting knocked out of the Rugby World Cup, just two games from the finals? Well, did you watch Andorra v Ireland? For those who luckily stayed away, Ireland were playing the joint worst ranked football team in the World on Friday night, as they hope to advance to the 2012 European Championships. It was a drab, depressing affair that Ireland ‘won’ 2-0, with two first half goals. Ireland chose to field two holding (defending) midfielders, including Glenn Whelan, who believes the best way forward is, well, backwards. Whelan’s first thought when he receives the ball is ‘safety first’ and statistically the over whelming majority of his passes travel either side to side or backwards. 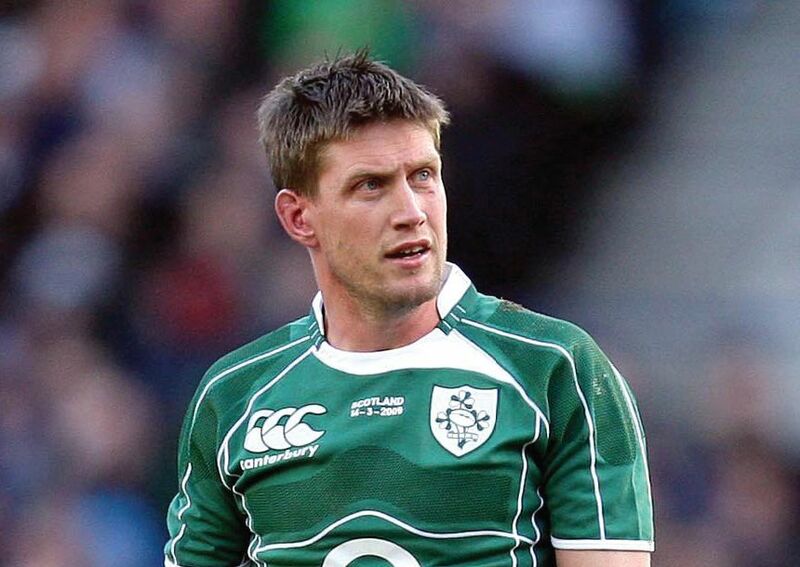 On a night where they played the joint worst team in the World, Ireland employed two holding, defensive midfielders. Exactly what were they defending against? Were they defending the Irish viewing public from the possibility of being entertained? Watching Ireland under Gio Trapattoni is a depressing, unrewarding and unenlightening affair. Beware of chastising me to soon for the following statement, a more loyal Irish fan you will never meet. However, if Armenia, a team playing open, attacking football, beat us in Dublin tomorrow and nip us to the post of qualification, so what? Honestly, can you really say you enjoy watching this current incarnation of the Irish soccer team?